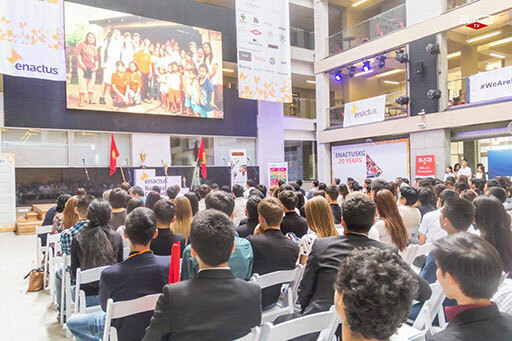 This year’s Enactus Kyrgyzstan National Competition, which took place 10 – 11 June in Bishkek City at the American University in Central Asia, marked an impressive and important milestone: the organization’s 20th anniversary. In recognition of the program’s lasting impact, a number of impressive speakers spoke at the event. 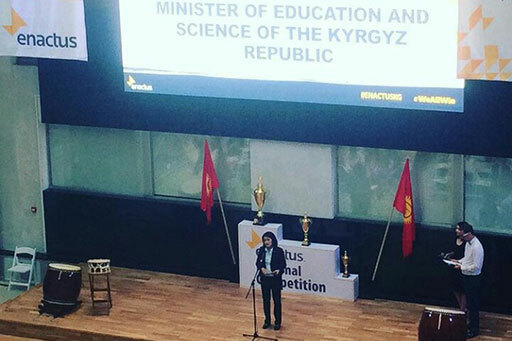 First up was Roza Otunbaeva, Former President of Kyrgyz Republic and participant in Enactus World Cup 2014 in Beijing. 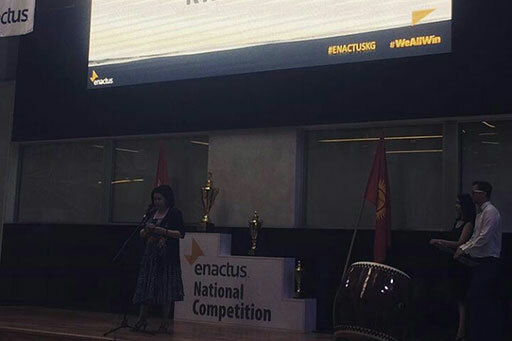 Ms. Otunbaeva shared her positive experience with teams, advisors and guests at the event, and insisted that Kyrgyzstan needs entrepreneurs and the Enactus program makes a real contribution in this issue, stating that Enactus is an incubator of the best minds – high praise! 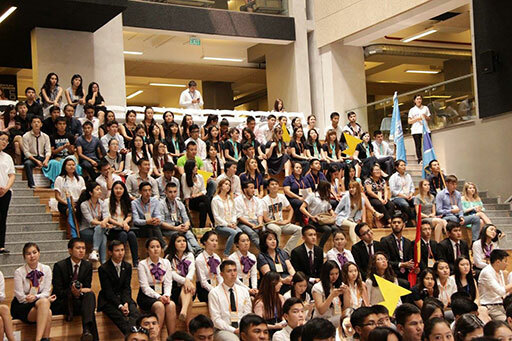 At the Opening Ceremonies, attendees were treated to an address from Camilla Sharshekeeva, one of the founders of the Enactus program in Kyrgyzstan. She shared the story of how the program started and how it has made an impact over the years. She also noted that Enactus students have always been and continue to be the best and brightest of the country, combining creativity and commitment with a positive outlook and attitude. 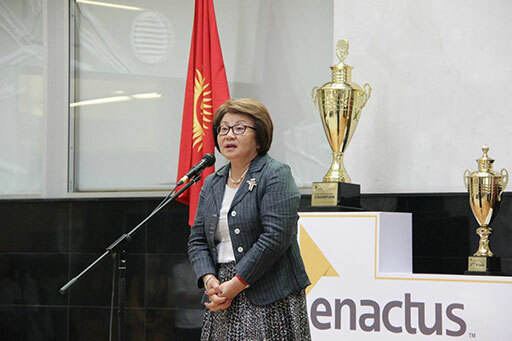 Another speaker was Elvira Sarieva, Minister of Education and Science of Kyrgyz Republic, who thanked the Enactus community for their talent and positive impact in creating better world. She also announced that Bishkek Academy of Finance and Economics team won a prize in a Special Competition held in a partnership with Ministry of Education and Science of Kyrgyz Republic to provide children with books and increase the attention and interest to reading, especially in rural areas of Kyrgyzstan. 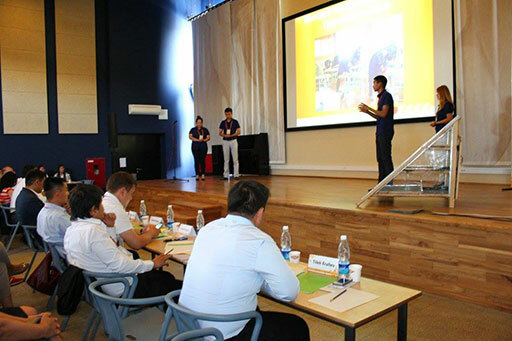 The new Chairman of the Enactus Kyrgyzstan Board of Directors, Arslanbek Kenenbaev, also spoke, offering his view of Enactus students and the program’s impact in their country. 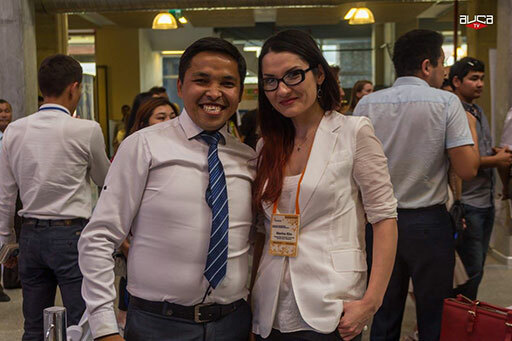 He used the term ‘gladiator’ to describe all involved: despite any limitations, those involved strive every day to find new opportunities to create a better life for all in Kyrgyzstan. In addition to celebrating the impact made over the last 20 years, the 400 people in attendance also came to find out which team would be named the 2016 National Champion. Ten teams took part in the two rounds of competition, with 25 business leaders narrowing the field down to the final four teams. 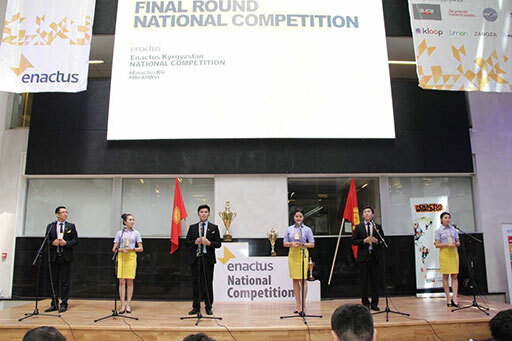 Those teams then had the opportunity to share their impact with 12 of the country’s leading business executives, who selected the Enactus team from Osh State University as the national champion. 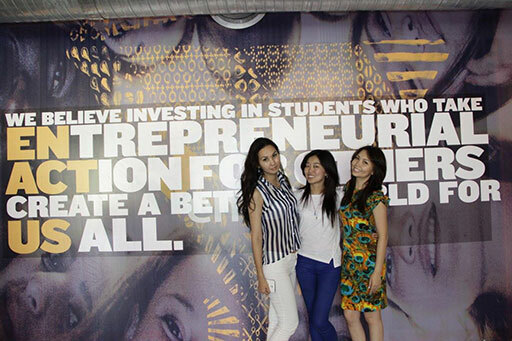 Their work focused on empowering women with the goal of providing them the skills and confidence to enter the workforce, either through traditional channels or by starting their own business. Check out the moment when the team was announced in the post below! 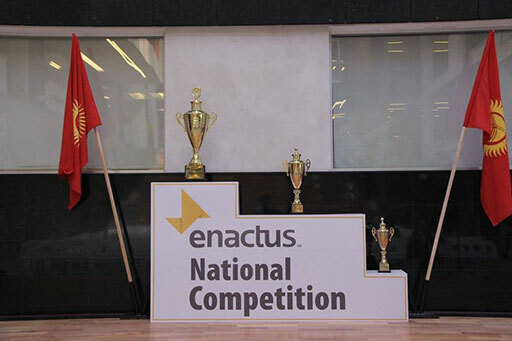 The team will now set their sights on Canada as they prepare to represent their country at the Enactus World Cup taking place in Toronto this September. If you search #enactuskg on social media, you’ll see lots of posts capturing the emotion and excitement of the two-day event. This is thanks in large part to the two social ambassadors, Marina Kim and Sergei Dolzhenkov, who diligently covered the event so the global network could experience it. And check out this article for a roundup of social media posts about the event! 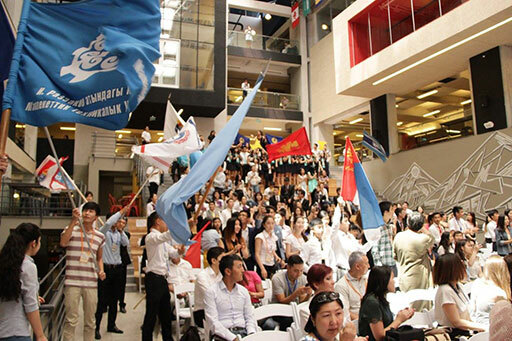 Don’t miss all of the great videos and posts on Enactus Kyrgyzstan’s Facebook page, and be sure to check out their YouTube channel for some great event videos, including this one that captures all of the highlights from the final day!